In my new essay at Salon, I use the life of Steve Bannon, controversial and powerful advisor to Donald Trump, as a predicate to explore the problem of meaninglessness in American culture, and how often the search for meaning ends with a cure worse than the illness. In my new column at Salon, I examine the idea of patriotism, comparing the liberal interpretation of American history with the right wing invention of it, and conclude that those who most obnoxiously wave the flag and shout love of country, are largely ignorant of American history and identity. Richard Ford, one of America’s greatest novelists, makes his nonfiction debut with the taut and terse memoir, Between Them: Remembering My Parents. In my new essay for Salon, I review Ford’s beautiful book. I also examine how we are to understand our relationships with our parents, and how we can attempt to fully see our parents as human beings separate from their children – full of virtues and vices; greatness and failure. Richie Kotzen, an impossibly soulful singer, guitar virtuoso, and prolific songwriter, is one of the best and most underrated musicians in America. I had the pleasure of interviewing Kotzen before attending a recent live performance he and his outstanding band gave in St. Charles, Illinois. 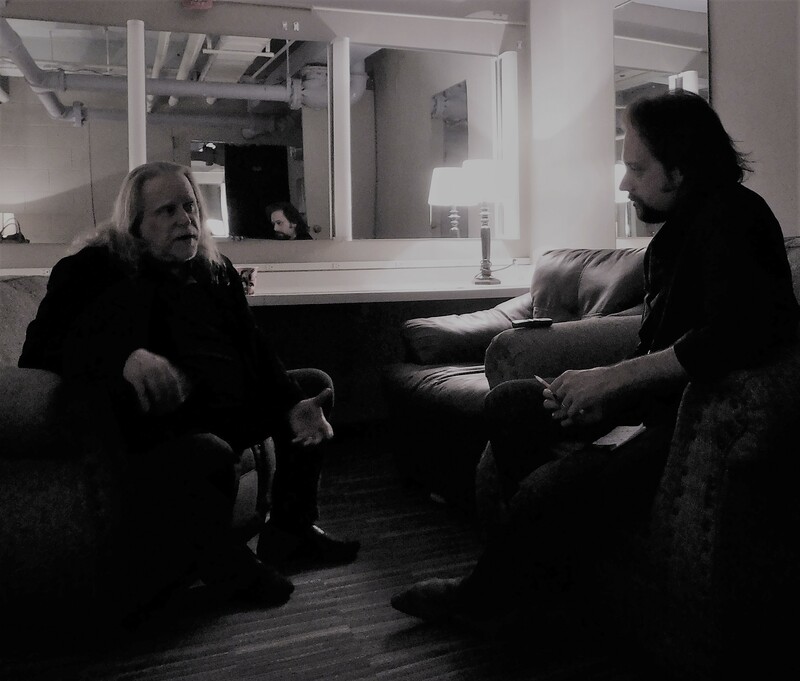 At No Depression, I write about his storied career, and relay his insightful thoughts on songwriting, live performance, and what separates his approach to leading his hard rock band, The Winery Dogs, and creating and playing as a solo artist across a variety of genres. Read my column on the idiocy of blaming liberal identity politics for the election of Donald Trump, and how it relates to perpetual denial of white responsibility of everything from rural poverty to heroin addiction, at Salon. I had the pleasure of attending the new exhibit on the history of The Rolling Stones, Exhibitionism, in Chicago with my friend – singer, songwriter, guitarist extraordinaire, Kev Wright. The immersive and interactive experience is essential for any admirer of the Stones, or fan of rock. I was particularly struck by the aesthetic sophistication of the Rolling Stones. From commissioning Andy Warhol to photograph and artistically depict the band to finding inspiration for stage sets in classical philosophy, the Rolling Stones, most especially Mick Jagger, helped cultivate a rock ‘n’ roll aesthetic, at once capturing and projecting the imager and iconography of rebellion, creativity, individuality, and sexuality. Read my essay The Rolling Stones and the aesthetic of rock ‘n’ roll at Salon. In a recent column at Salon, I explain why the phony media melodrama about free speech wars on college campuses does not represent reality at the average university. The story is largely an invention. In my newest essay for Salon, I review feminist scholar Susan Bordo’s topical and timely book, The Destruction of Hillary Clinton. Clearly, I am in the minority. To express admiration for Hillary Clinton has become a radical act. While the accomplished public servant is not without flaw (her cynical support for the Iraq War is still infuriating), the level of hatred and hostility that exists for Clinton is clearly hysterical and paranoid; without any basis in the rational universe. She has become history’s greatest monster, even while a gruesome amalgam of stupidity, corruption, and bigotry occupies the Oval Office. Bordo, as bewildered as I am by the odd animosity for Clinton, analyzes the 2016 election. With an emphasis on misogyny, Bordo presents a convincing case that right wing paranoia, double standards against women, and mass media mediocrity coalesced to poison the public against one of the most intelligent and qualified candidates for the presidency in the modern era. The book has its weaknesses. Bordo never acknowledges that Clinton made massive missteps in her campaign, but more important, her argumentation is detached from the the actual lives of many voters, most of whom she admits do not pay close attention to politics. The roots of misogyny are much deeper, and have a much more personal origin, than idiotic journalism or manipulative campaign tactics. Read how I excavate those roots at Salon. In my latest column for Salon, I examine how Republicans in government are incapable of governance. After having spent years mocking liberals as overly ideological, naive, and unable to make difficult decisions, conservatives have now drifted so far to the fringes of the right that they cannot implement or administer public policy. The fiasco of health care reform is an illustrative example of Republican ineptitude.